When the Marine Corps wanted the next generation of combat optics, they searched carefully before deciding. 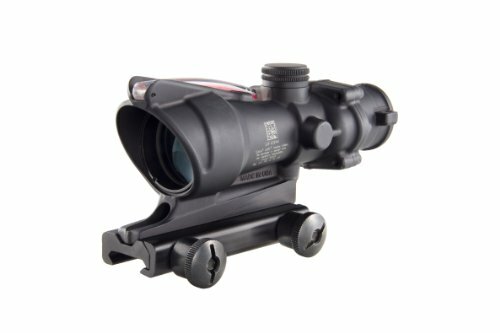 Trijicon, a high-end optics manufacturer, issued their Advanced Combat Optical Gunsight (ACOGs) to the Marines. Since then, Trijicon ACOG scopes have become the go-to magnified optic for the military and law-enforcement. 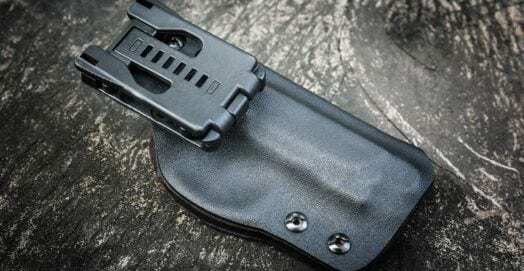 Because of this, they have also become extremely popular with recreational gun owners, but usually only gun owners that can afford the finest accessories to outfit their AR-15 or other tactical rifle. So, how can you choose among the best Trijicon ACOG scopes for the AR-15? Read on to learn some important information before you start shopping. If the Trijicon is out of your budget, our comprehensive AR-15 Optics guide will give you some budget friendly alternatives. 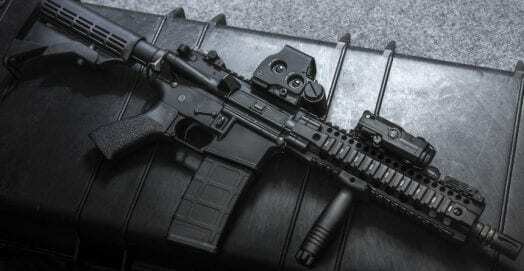 An AR-15 rifle is a lightweight semi-automatic rifle they originally based on the Colt AR-15. But when Colt’s patents expired in the late 1970s, many companies began to produce their own AR-15s. 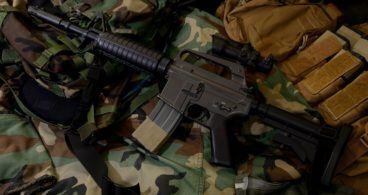 The AR-15 style of rifle comes in a variety of options and styles, depending on who makes it. 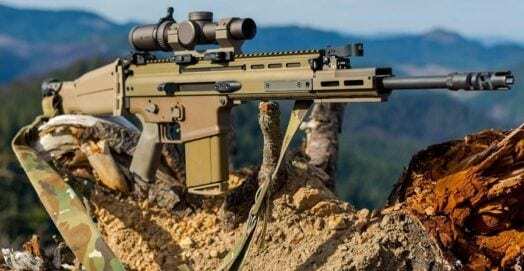 There are many other tactical rifles in the US market – and many people even take regular semi automatic rifles, and make them look “more tactical” by adding aftermarket accessories like custom rifle stocks and slings. This can make any “ordinary semi-automatic rifle” a perfect pairing with a Trijicon ACOG scope. 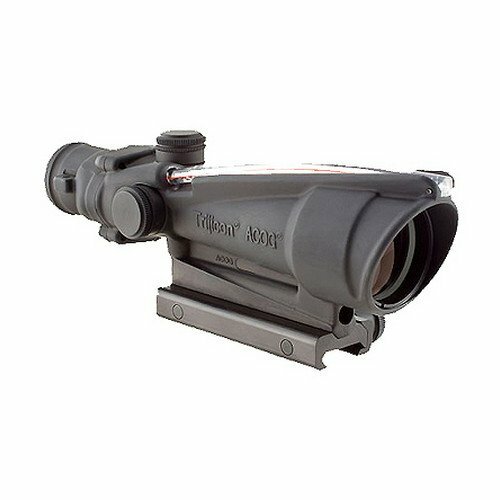 Trijicon ACOG scopes come with a battle-ready gunsight with the ultimate durability and features. Few people recognized how innovative this gunsight was when the military and NATO countries adopted it. The combination and execution of the ACOG features are something special. Although these scopes offer unique value, justifying the high cost can be difficult. However, choosing the right one can ensure things work out in your favor. 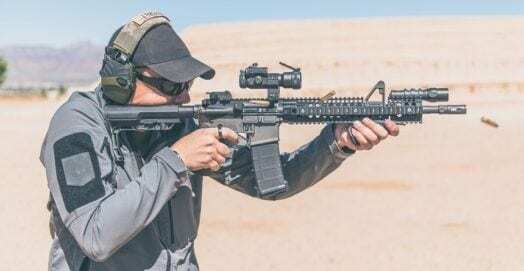 If you don’t know where to start, here are three of the best Trijicon ACOG scopes for a civilian AR 15. Also, there are some valuable tips to choose the right Trijicon ACOG scopes for you. Choosing the right Trijicon ACOG scopes means looking at capability, weight, bulk and cost. These rifle sights are expensive. The old saying, “You get what you pay for,” applies to rifle optics. The good news is, there’s nothing on the market like the ACOG. So getting the right one is quite easy. The great thing about all ACOGs is that the mount is built in. You get a high-quality dead hold mounting solution included with the price of the scope. This means you don’t have to worry about shifting, spinning or losing zero as with other magnified optics. 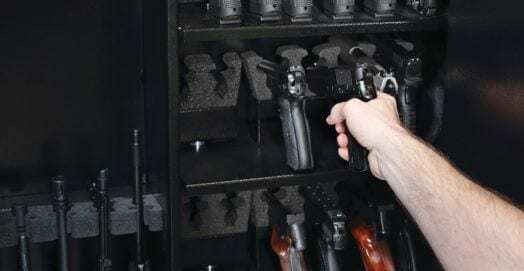 All you have to do is bolt them on, zero them in, and you’re good to go. The next best thing about the Trijicon ACOG scopes is they utilize BDC reticles. These reticles have spawned the current generation of intelligently-designed BDC reticles. The centerpiece of these reticles is the illuminated shape. They are available in red, green and amber. Also, they come in a multitude of shapes like horseshoes or chevrons. The cartridge you plan to use. If you want a battery backup for the fiber-optic illumination power source. The answer depends on how often you shoot in low light. Also, you may not want to deal with batteries. How much weight in bulk you want to add to your rifle. ACOGs are moderately magnified between 2.5x and 4x magnification. Higher magnification models are available, but they cost more and add substantial weight and bulk. 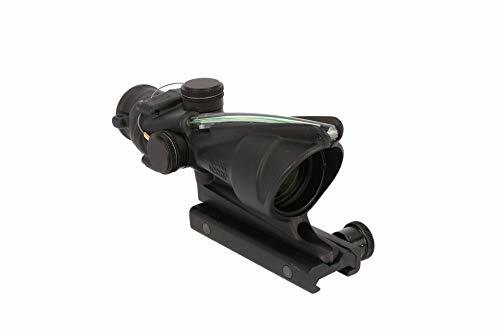 The ACOG sight for people who need everything is the Trijicon ACOG 4×32 ACSS Dual Illumination riflescope. It features slightly more magnification than most Trijicon ACOG scopes without needing an RMR backup. It also features dual illumination. And it is available with several BDC reticles, including 5.56, .308 and .300blk. The reason to choose this over other Trijicon ACOG scopes is the dual illumination and ACSS reticle. They designed it to be a larger optic that offers slightly more magnification than other models. So this is perfect for someone that wants a light, fast optic for three gun shooting or a hunting rifle for hog control. This optic is for recreational shooters who make longer shots than military and law-enforcement. The dual illumination and extra magnification in this scope make slightly longer shots easier. Available in red, green and amber, the illumination in the scope is excellent. Also, the backup battery is available, even at night. 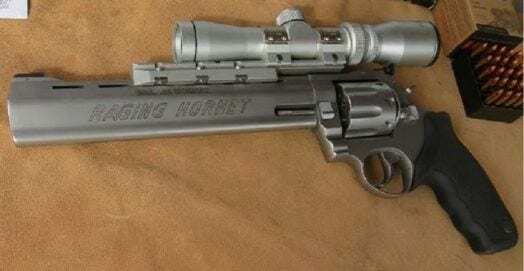 But if you plan on using this scope for hunting or varmint control, it doesn’t work well with night vision. At its core, it is still one of the best Trijicon ACOG scopes for police officers and soldiers. This scope is a battle optic in the 0 to 500-yard range for an intermediate chambered carbine. Pros: Dual illumination, a larger objective bell and excellent BDC reticle. Cons: Bulkier and heavier than other ACOGs and runs on batteries. When people think of an ACOG, this is generally what they envision. 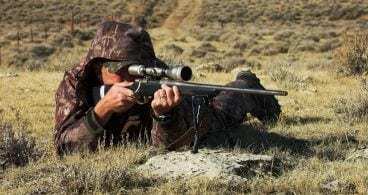 The Trijicon ACOG 3.5×35 Riflescope is low-profile, rugged and extremely effective. This is one of the Trijicon ACOG scopes that come with a full array of options of BDC reticles. It is available with 11 total different reticles ranging from .223 chevron style reticles and .308 horseshoe reticles. And both come with ballistic compensation out 800 yards. This is one of the Trijicon ACOG scopes that runs off a replaceable fiber-optic cable instead of batteries. It has the same features as other cog scopes including a built-in sunshade and mount. The only disadvantages of this scope it is the base model. That means this scope doesn’t do anything particularly extraordinary compared to other ACOG models. The fixed 3.5x magnification provides good magnification with decent light gathering ability. 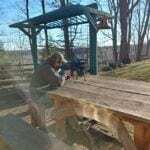 So it is able to shoot a man-sized target to about 300 to 400 yards at dusk. You can shoot most of the reticles with this scope using both eyes open, regardless of magnification. This leads to better situational awareness with the low-profile design of the ACOG. This is for someone who doesn’t mind a small loss in performance but doesn’t want to pay for a highly specialized model. Pros: A simple, rugged, lower profile that’s lighter than most Trijicon ACOG scopes. Cons: Standard ACOG cons like weight and odd size bulk. If you’re looking for the Swiss Army knife of Trijicon ACOG scopes, this is it. This scope combines the legendary bombproof construction, along with higher magnification and a more specialized reticle. And they optimized this scope to shoot a 5.56 cartridge out to 600 to 800 yards with reliable exterior ballistic predictions. This is one of the Trijicon ACOG scopes available as a dual illuminated red crosshair. It operates primarily with the large red fiber-optic running along the top of the scope. But you can also switch it to battery operation in low light or in case the fiber-optic breaks. This scope is great for long-range shots with AR 15’s, but it is it useless within 100 yards. In fact, this scope features an RMR miniature red dot. This adds red dot simplification to any gun without changing the handling characteristics. The RMR is excellent for closer shots or when magnification is unnecessary. The 4x magnification is not substantial in the confines of a house or thick brush. However, it can make picking up the target in the field a simple process. Also, the RMR features a 3.25 MOA dot reticle mounted directly to the forged aluminum housing of the scope. When shooting with this combination, there is a substantial offset the arm has to overcome to be accurate. It’s nearly 2.5 inches above the bore axis, which is enough to miss the bullseye if you’re shooting close. Pros: Dual illumination and a highly specialized, precision reticle. Cons: Bulkier and heavier than standard ACOGs and it needs batteries. It’s not uncommon to ask plenty of questions when you plan on dropping four figures on an optic. If you have the cash to spare, you want to make sure you aren’t spending money on something that ends up back at the manufacturer for defects, or returned for poor quality. Rest assured, Trijicon has extremely high quality standards, which is why they are the optics of choice for so many people that trust their lives to their tactical rifle in dangerous, life-threatening situations. Let’s take a look at some common questions that most people have before buying an ACOG. Q: How Fragile is the Fiber Optic on an ACOG? A: The weakest link on the ACOG is the fiber-optic. Whether it’s the physical fiber breaking or being too dark for the fiber to gather light, it is the weakest part of the system. However, it’s rare to have the fiber-optic break on ACOG during use. The most common time the fiber optics are damaged is during transport or storage. This usually happens when two rifles knock together in a safe. 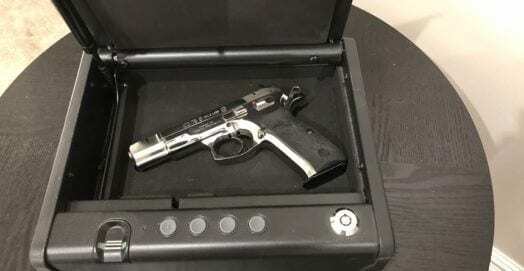 It can also happen when you transport a rifle is in a vehicle outside of a case. An old military trick to force more light into a damaged fiber-optic is to duct tape a miniature two-inch can light segment to the top of your scope. This throws out enough light for the reticle to fully illuminate. If you’re seriously worried about these problems, the best solution is to get the battery backup model. It makes the sight heavier and bulkier. But you’ll have a clear reticle, no matter what the lighting conditions are. Q: Why Use an ACOG? A: The reason ACOG scopes are so popular is due to their widespread military use. Also, they are the most effective, battle-proven sights on the market. 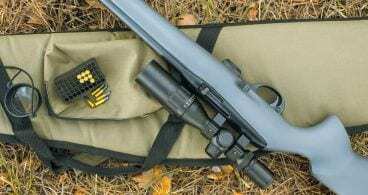 You can find few rifle scopes that carry the same weight in the tactical and law-enforcement markets. The reason to use an ACOG is if you need a hardened, military grade optic for fast snap shooting. While these scopes are accurate, they shine in the 0 to 500-yard range with intermediate cartridges. 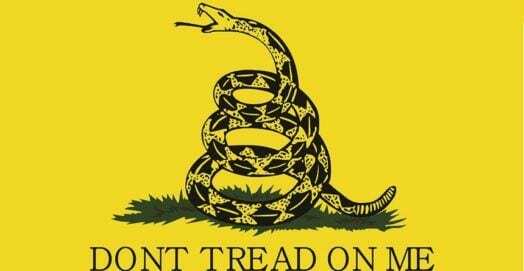 They take a 5.56 NATO cartridge and range out 200 to 300 yards beyond its standard effective range. This is a change the lethality of the round. However, it makes you a more effective marksman by adding a moderate amount of magnification. In addition, the extremely intelligent reticle design and bombproof construction mean it will always be there. Q: Are ACOGs Worth the Money? 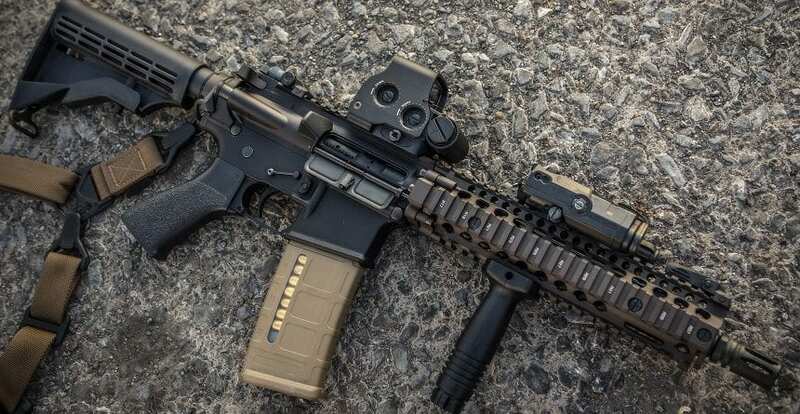 A: This begs the question in a market littered with compelling competition, “Does Trijicon’s old standby still hold its own weight in regard to value?” In some cases, you could buy a whole other AR-15 for what it would cost to put an ACOG on to one you already have. So, it honestly depends on your own personal preferences. If you prefer a fixed power scope, there’s no other battle proven options available. If you like fiber-optic illumination, you can trust an ACOG. However, if you’re buying a scope for an AR-15, there are less expensive options. The ACOG family is in its own category and class of riflescopes. It is a defined niche as a tactical, law-enforcement grade optic for warfighting. It is a value for precision rifle fire, plinking or even making fast shots at moving targets. However, all categories are dominated by different types of scopes. Whichever model you choose from Trijicon, know that all ACOGs are quite similar. The differences are the reticle, illumination source and magnification. Everything else is cosmetic. But with Trijicon, you get the bombproof construction that makes in ACOG an ACOG. Just make sure when you buy a scope, mount it and get to the range. Trijicon ACOG scopes won’t do any good at home in your gun safe. And lastly, always practice gun safety rules and regulations and make sure you protect your investments with a good rifle case.